A cast iron skillet is an essential piece of equipment to have in your kitchen arsenal. Especially when it’s an ax. 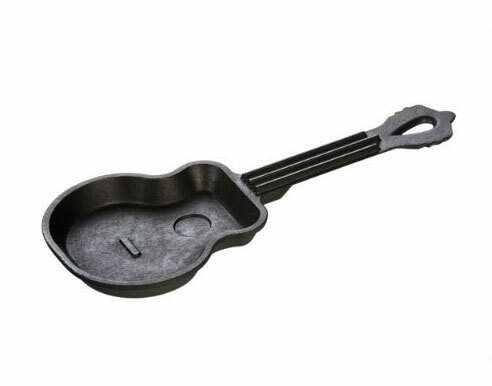 The Lodge Logic LGSK3 Guitar Skillet comes ready-to-use and measures about 10-inches by 5-inches. Which is considerably smaller than a real guitar, which you probably wouldn’t want to cook with anyway. Unless of course you’re Jimi Hendrix.